No day goes by without Donald Trump calling Hillary Clinton “Crooked Hillary” on his Twitter feed, and that’s no surprise. 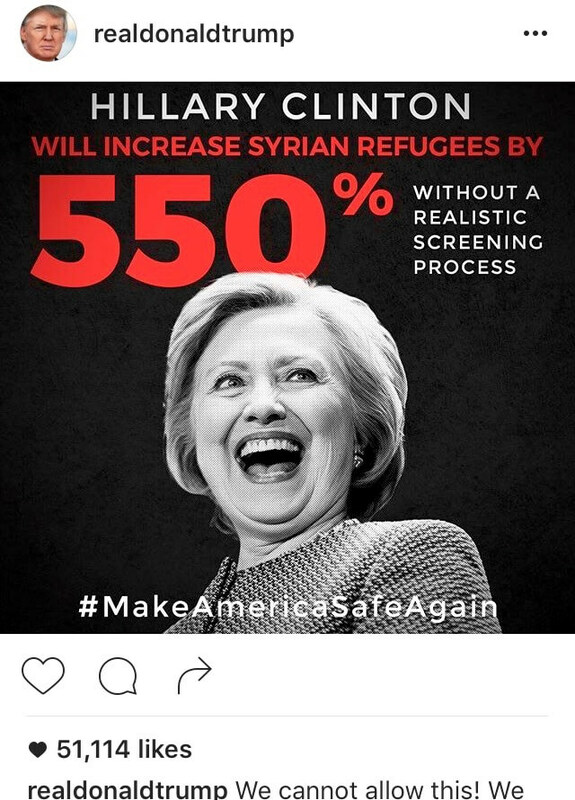 Clinton and Trump have taken their campaigns to every aspect of social media. Social media platforms can definitely impact the candidates’ success in the election, and they probably believe that every “like” is another person who’ll actually go out to the polls and vote for them. 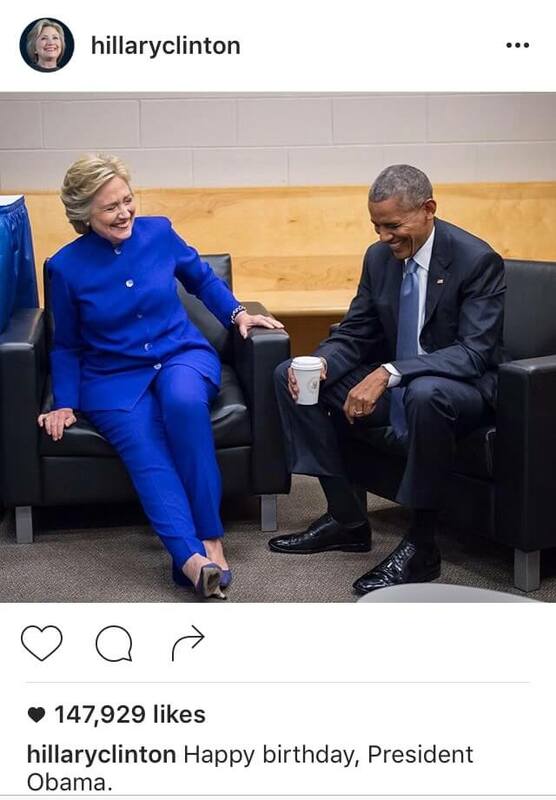 Both candidates feel the need to document their daily activities on Instagram (just like everyone else who uses the app). 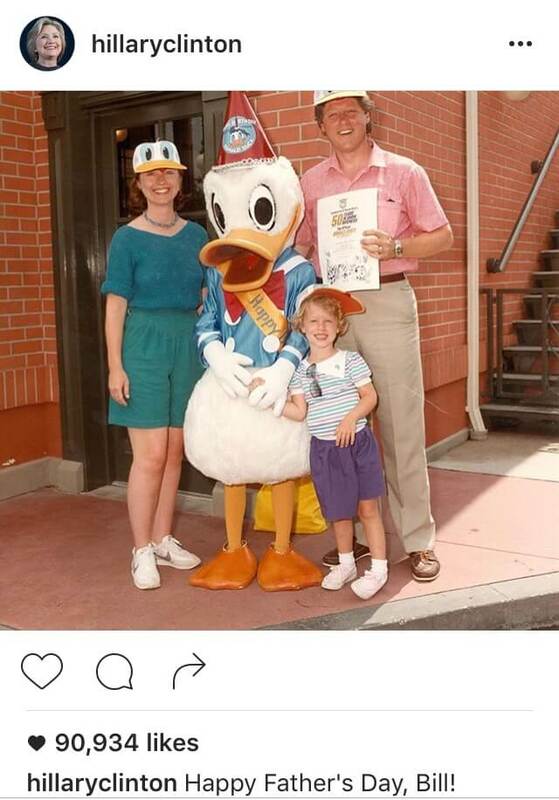 Both Clinton and Trump post photos regularly, and I don’t blame you if you don’t feel like scrolling through all 800. Here are the 11 types of pictures you’ll see the candidates upload. Ah, yes. This is the go-to for both candidates. Nothing better than quoting yourself with a picture of yourself to go with it. #Selflove, am I right? 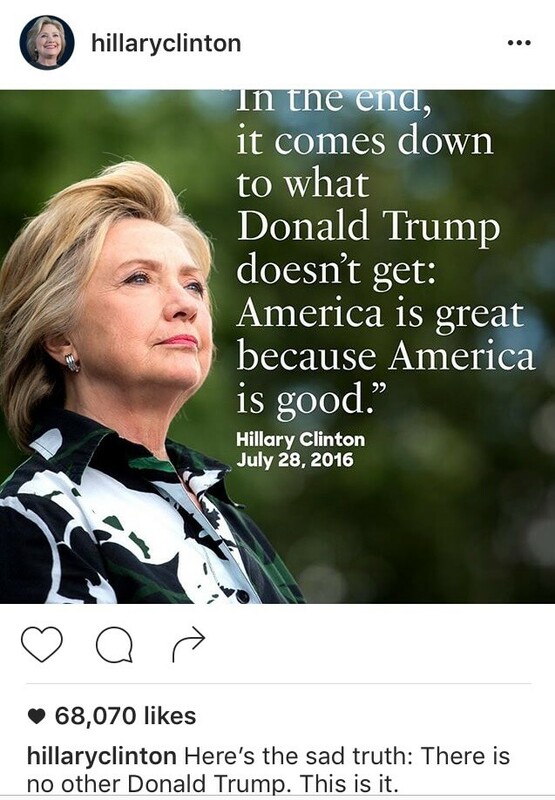 Both Trump and Clinton have several of their own quotes and headshots throughout their feed. Politics wouldn’t be politics without strange statistics from unknown sources. 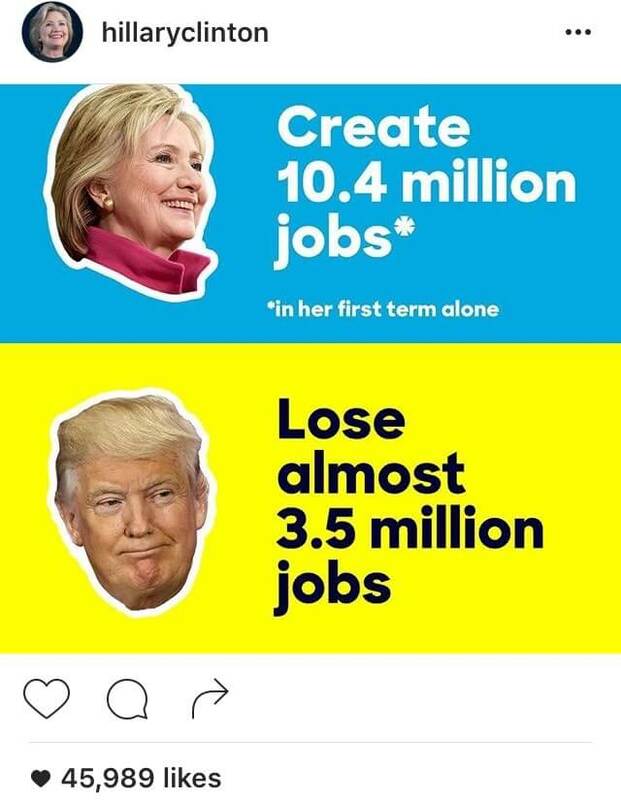 Both candidates have posted photos with percentages either predicting their own success in the Oval Office or explaining how terrible the other would be if elected. Nothing better than seeing Trump and Clinton just doing political stuff. Both have tons of photos of them candidly checking mics, giving speeches and even laughing it up with President Obama. 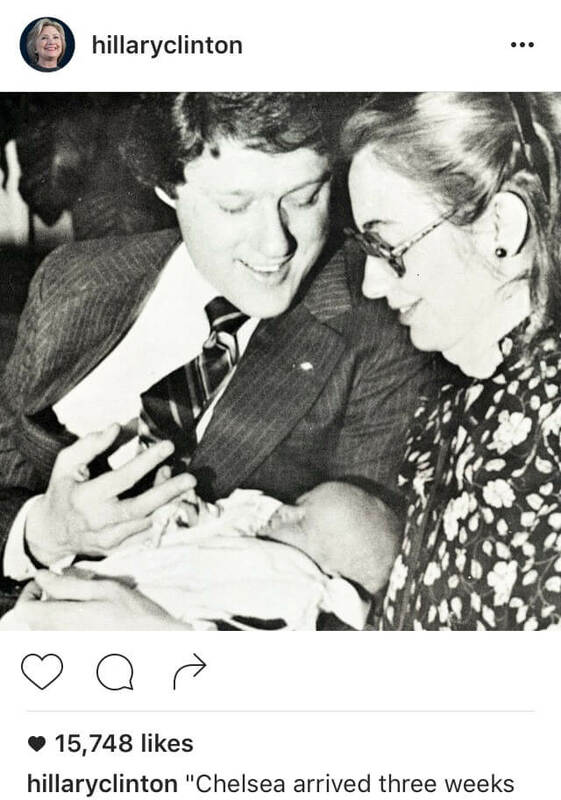 Everyone loves a good #throwback, especially the candidates. 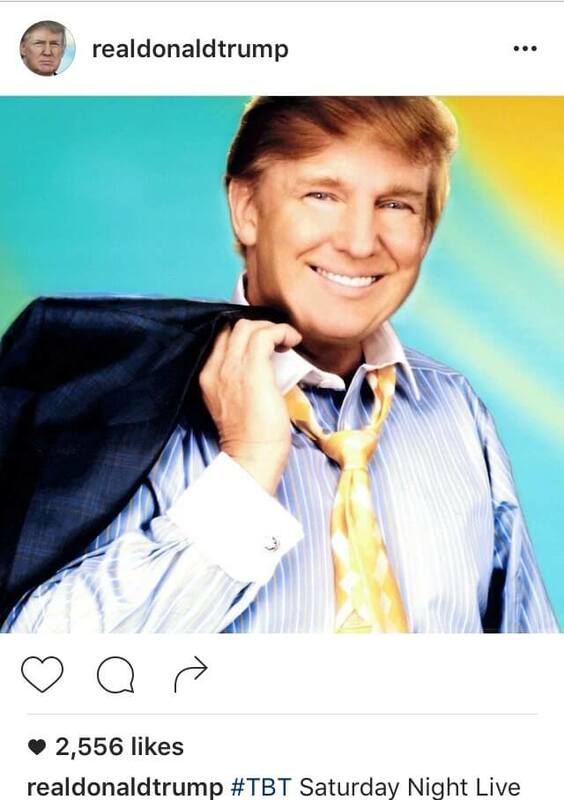 Throughout their time on Instagram, both candidates have posted their fair share of #tbt photos of their families, careers and even Saturday Night Live headshots. 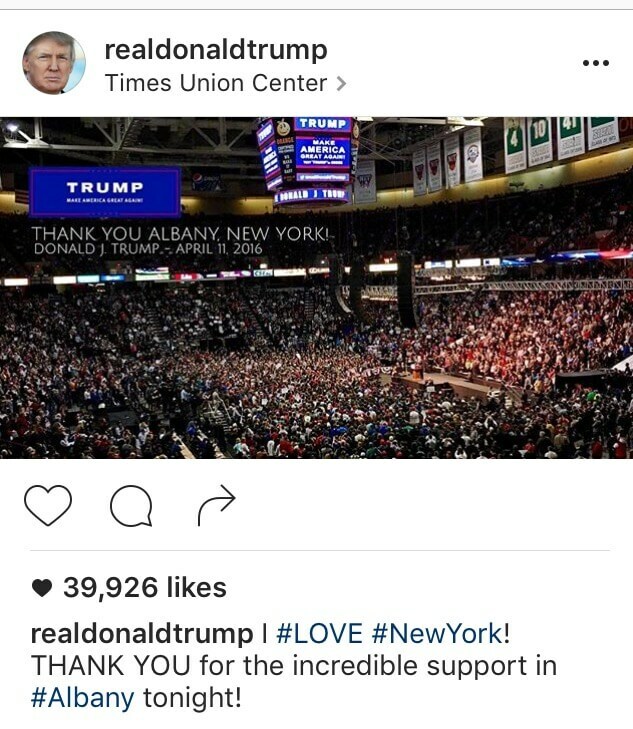 Trump and Clinton both post photos of the crowds at their rallies to show their Instagram followers how popular they are. 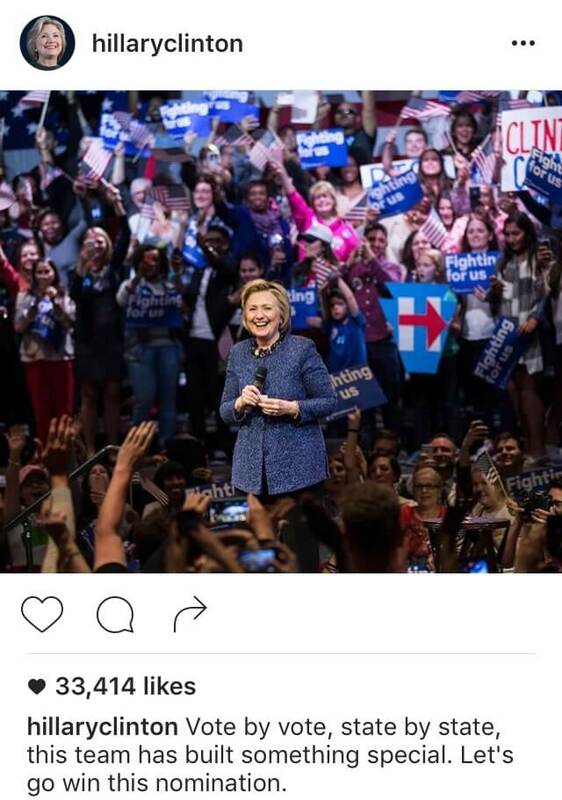 The candidates both snap some crowd shots whenever they are in states with lots of supportive voters… because whoever has the most supporters in their photos will obviously win the election. 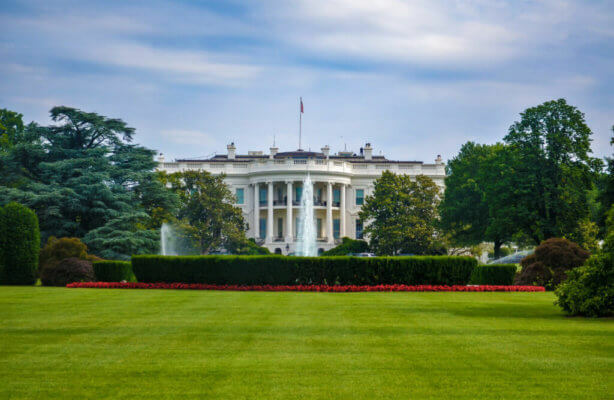 First posts obviously play a huge role in deciding which candidate you should vote for. 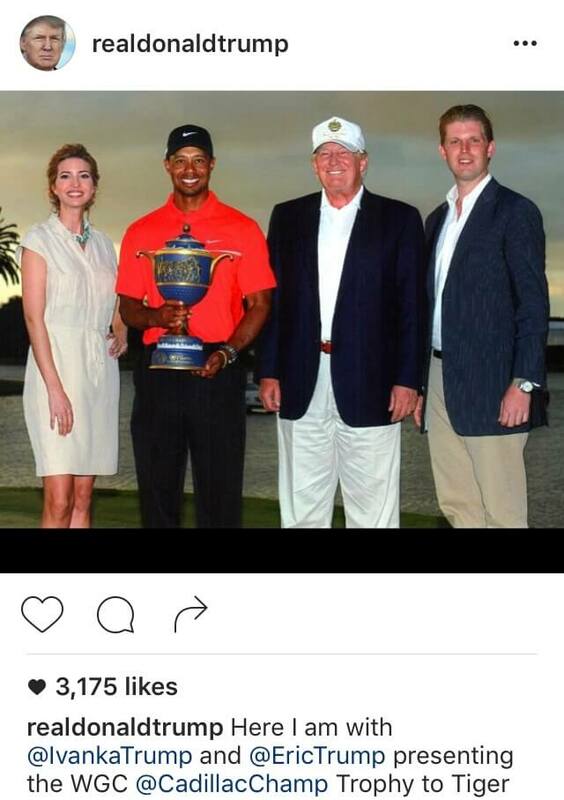 Trump’s first Instagram photo features himself and some family members giving a trophy to Tiger Woods (remember him?) over three years ago. 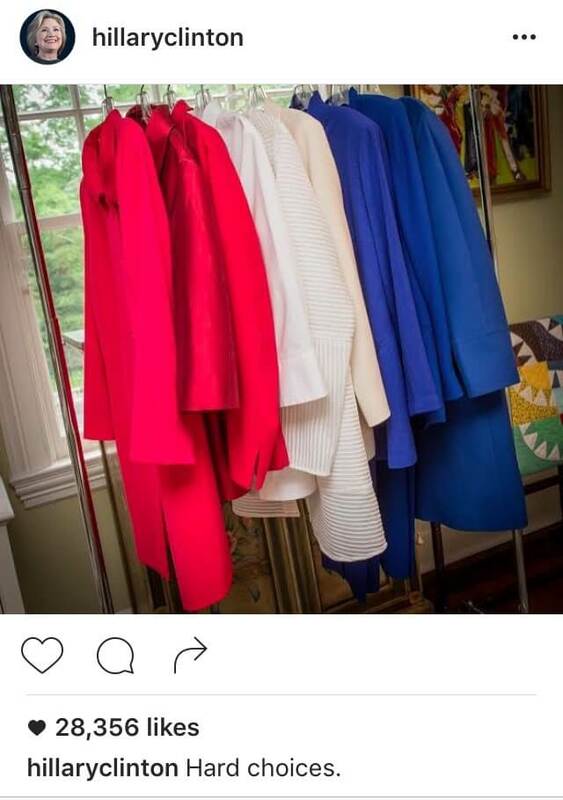 Clinton’s shows off some red, white and blue skirt suits, and she just can’t pick one. #Beentheredonethat. Every Instagram account needs those artsy black and white photos for aesthetic purposes, and both candidates have recognized this fact. 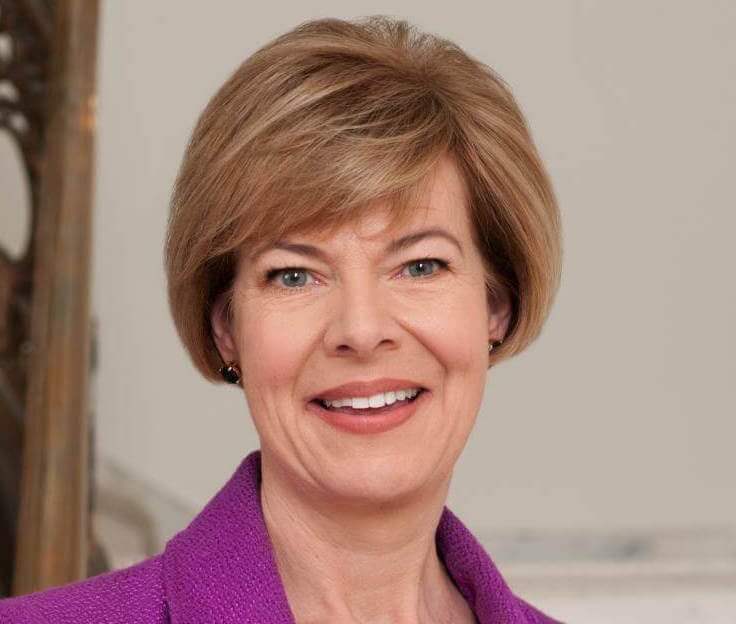 It’s hard to tell if the candidates used the filter on their photos, or if the pictures were just from a really long time ago when black and white photos were the only kind available. 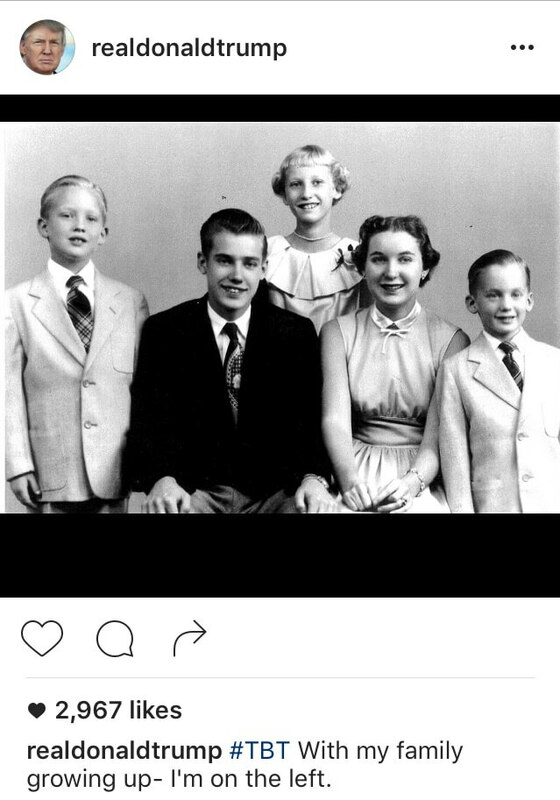 Even though Trump looks pretty young, you can already see that creepy comb-over beginning to come alive. What’s better than seeing celebs interacting with other celebs? Talk about celeb-ception. 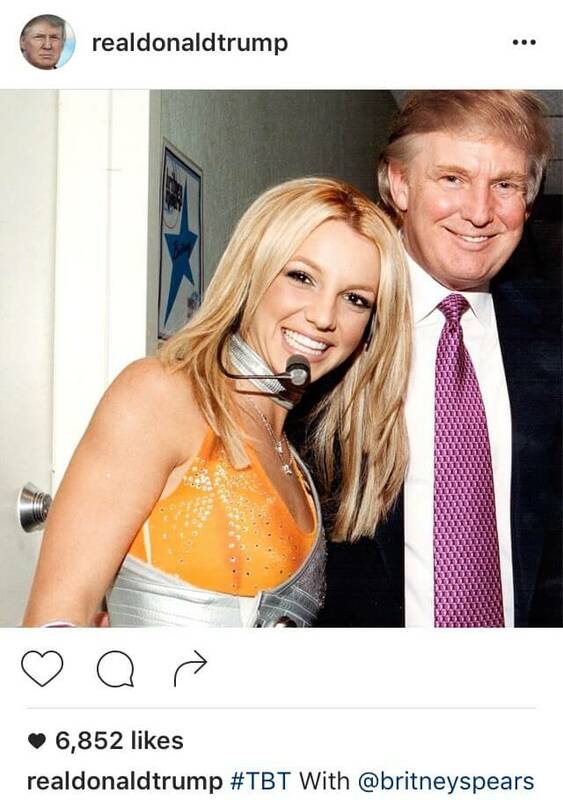 You can’t go wrong with a photo of Britney Spears, and Trump definitely gets points for that. But, her outfit looks like it’s from the early 2000s, so we can’t tell if Spears would want to Make America Great Again if she were asked about it today. Clinton seems to have more #hotin2016 celeb BFFs. 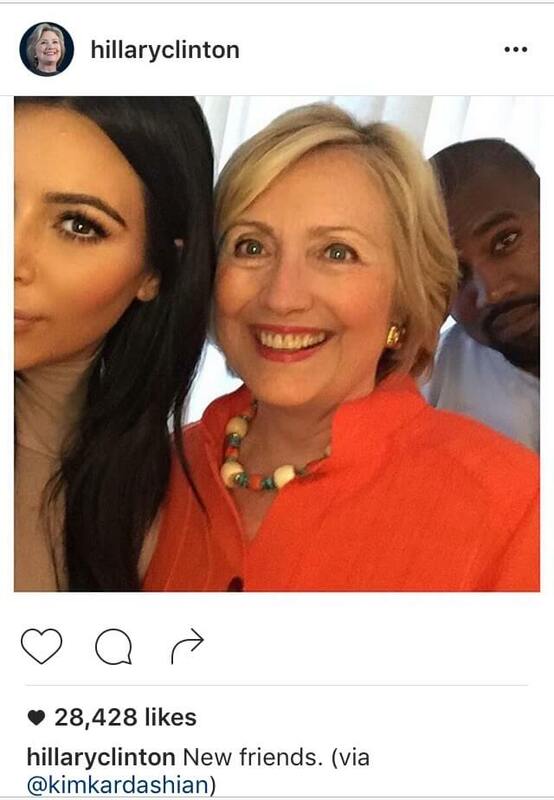 In addition to Kim and Kanye, who is almost smiling, Clinton also posted selfies of her and Katy Perry. No one can resist snapping photogenic landscapes, not even the presidential candidates. 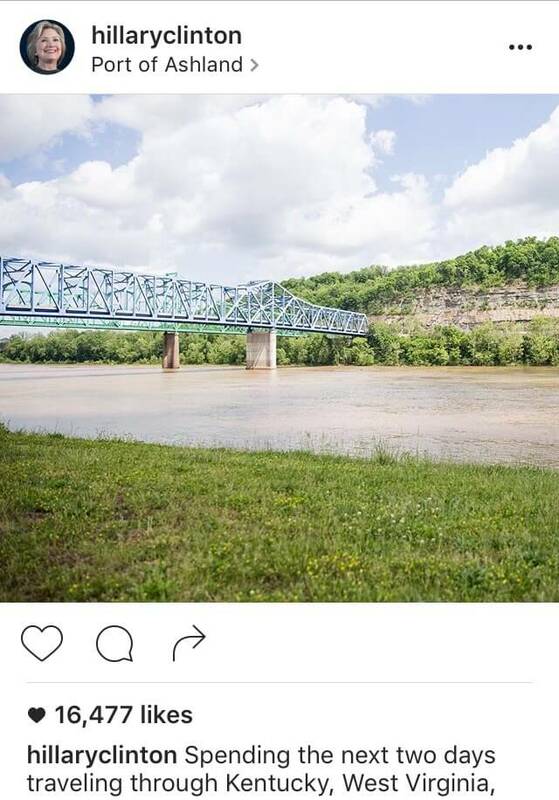 Not sure if Clinton was actually the person who walked through the grass to take this photo, but either way it’s a pretty cool shot of Ashland, Kentucky. 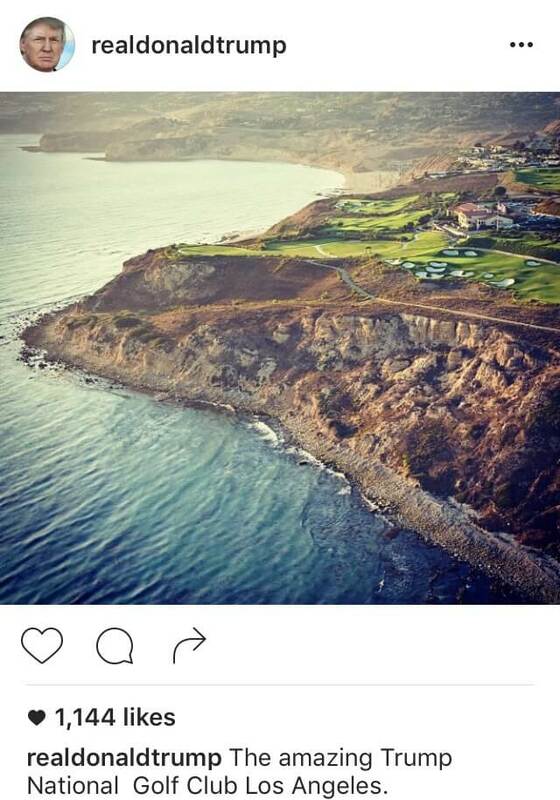 Trump has tons of landscape shots in his feed, and each of them show off a different Trump National Golf Club. Apparently they’re all Instagram worthy. 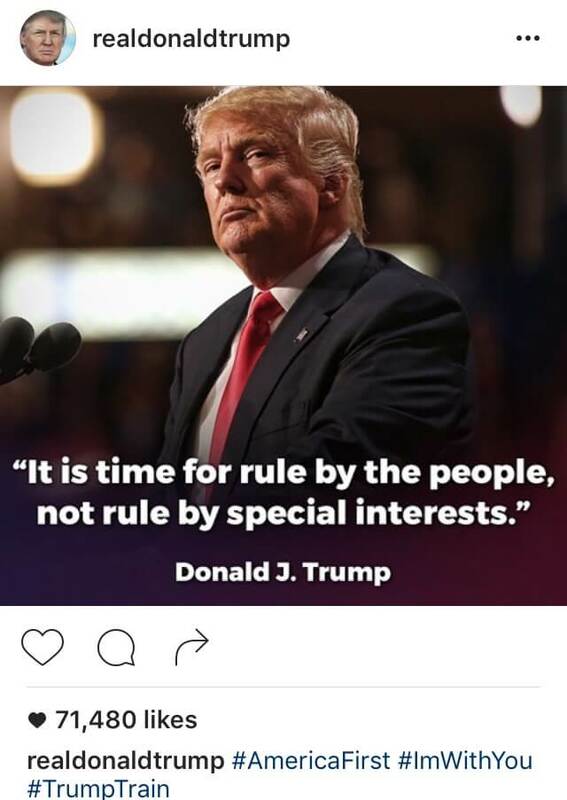 Pictures of food are typical for Instagram, but not so typical for the candidates. 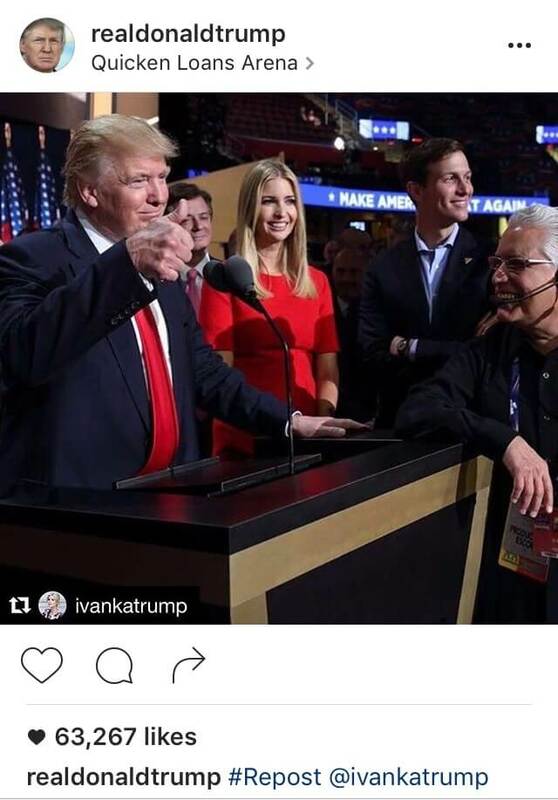 Both Clinton and Trump only have a few food pictures posted, probably because they’re too busy campaigning to eat. 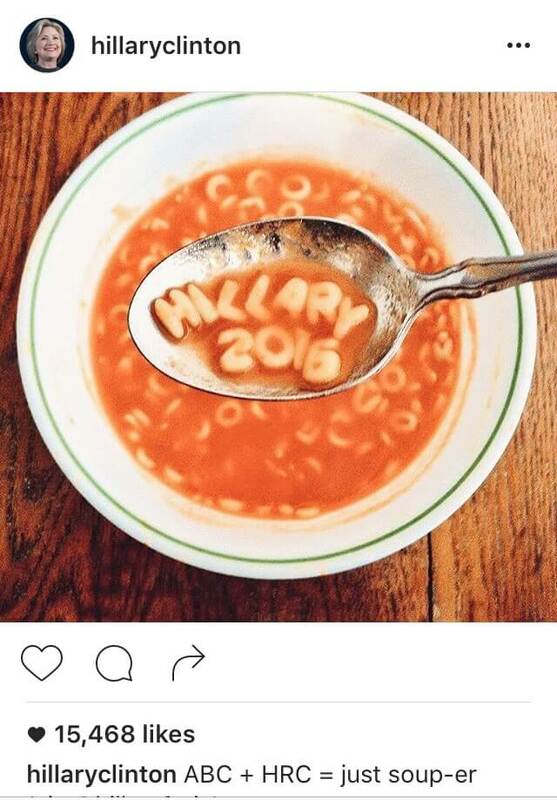 But whoever took the time to spoon through their alphabet soup for “Hillary 2016” definitely deserves to be VP if she wins. 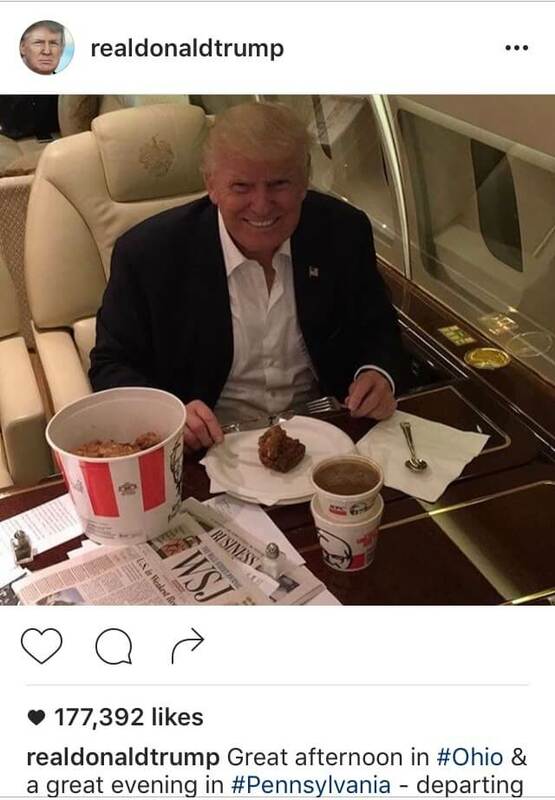 And honestly, is anyone else weirded out by Trump eating KFC on a paper plate with real silverware? Maybe the plastic spork just wasn’t good enough. Cute puppy pics will always be acceptable no matter who you are. 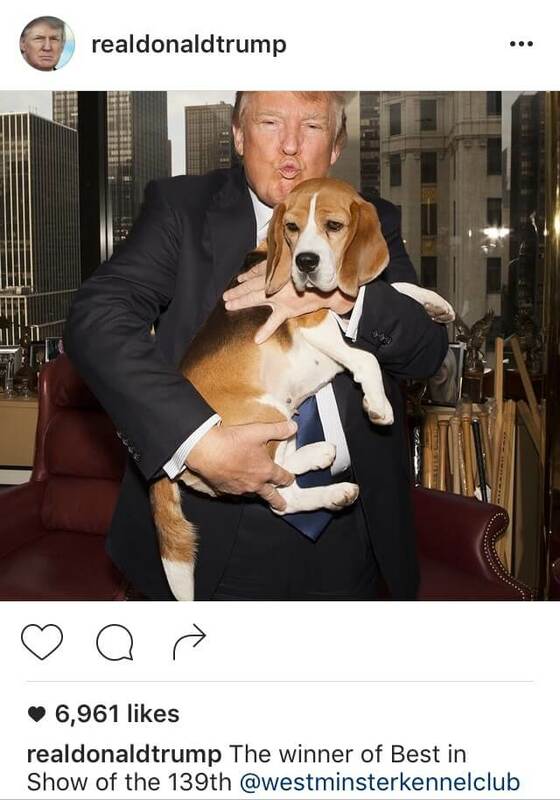 The dog that Trump is holding looks really scared, and you would be too if he made that face while holding you…or if he held you at all. Clinton achieves #lifegoals by matching her hair color to the color of her dog’s fur. 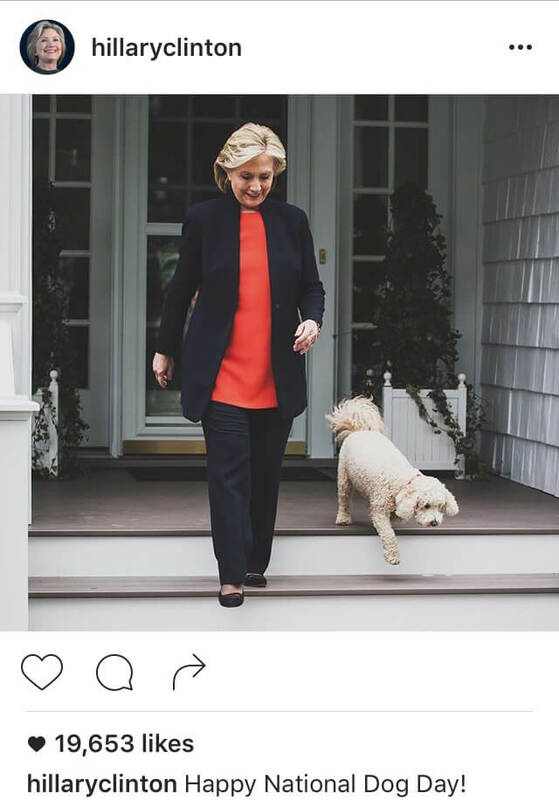 Then again she’s probably the only woman who wears a pantsuit to take her dog for a walk. 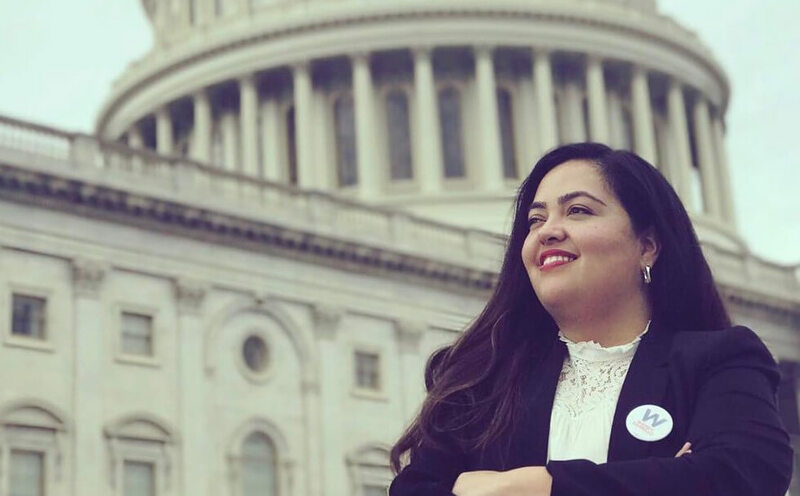 Jasmine is a junior at the University of Texas at Austin studying journalism and sociology. She enjoys sunsets, concerts, and gas station pizza.